A new and exciting Japanese dining experience awaits at Watami Grill and Sushi Bar. Looking for an exciting place to indulge your love of Japanese food? 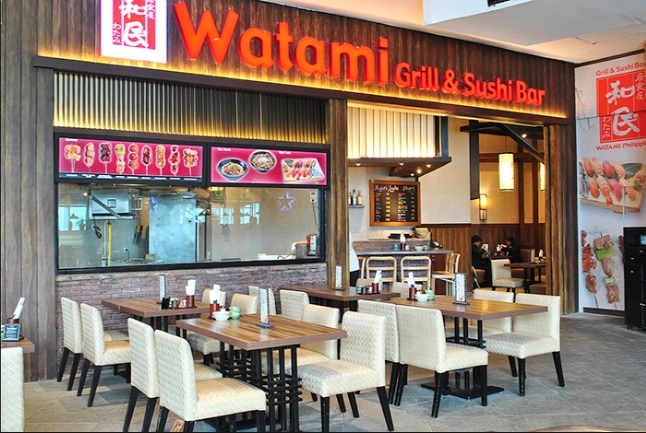 Head off to the new Watami Grill and Sushi Bat at Uptown Mall in BGC. This dining concept adopts the theme of izakayas in Japan - small drinking establishments often located in subway stations and in virtually every alley, which cater to tired, hungry locals looking to unwind with co-workers before calling it a day. It's a Japanese-style gastropub, where guests eat, drink, laugh and eat some more over cold beers or sake. If that sounds like a fun place, that's because Watami Grill and Sushi Bar is meant to be that way - down-to-earth and roll-up your sleeves kind of chill. 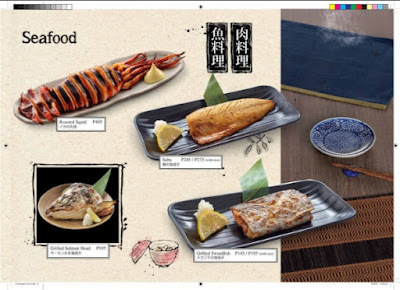 It is smaller and more casual than the other two Watami branches in Mall of Asia and Shangri-La Mall but nevertheless stays true to the brand's standard of great food and service. The fare consists of different kinds of yakitori and other skewers, nigiri sushi, sashimi and grilled seafood which all go perfectly with cold beer. It also serves staple Japanese dishes such as rice bowls, sushi rolls, tempura and original Watami salad - a refreshing bowl of mixed greens, tomatoes, grilled teriyaki chicken, fresh shrimp and crispy wonton chips topped with a special paste tuna dressing. The dishes are very affordable. 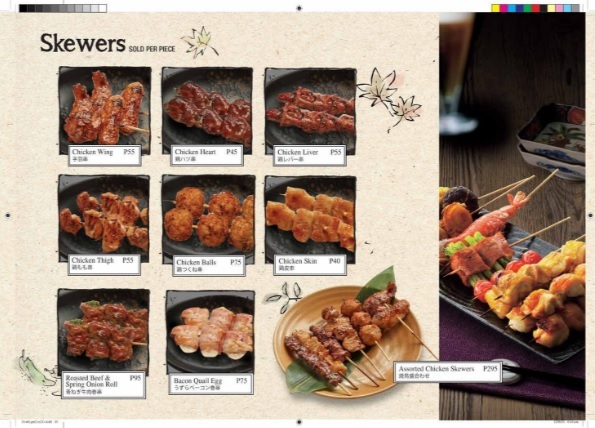 Prices for its skewers, for instance, range from Php40 to Php145, allowing guests to order different varieties and share with friends. Items to try are the Bacon Asparagus, Baby Octopus, Pork and Enoki, Roasted Beef and Spring Onion Roll and Bacon Quail Egg. If you have no idea where to start, order a platter of assorted skewers instead for less than Php300. Two pieces of nigiri sushi are just the perfect portion to tease the taste buds. Sample one of each on the menu to satisfy your umami craving and pay only Php80 to Php185 for each plate. 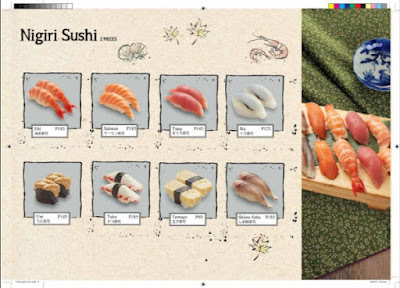 Its sushi rolls, meanwhile, are meant for sharing and features customer favorites like California Maki, Spicy Salmon Tempura, Special Assorted Irodori Sushi and Assorted Salmon Sushi and Sashimi. If you come in with an empty stomach, it's best to order any of their savory rice bowl dishes brimming with authentic Japanese flavors. salmon Flake Rice, Beef Rice Bowl with Hot Spring Egg in Tokyo Style, Chasu Rice, Beef Pepper Rice and Chicken and Egg Rice Bowl are just some of the choices. Complementing all these delicious food is a selection of alcoholic beverages that include beer, wine, shots, cocktails and Japanese liquor aside from the staple non-alcoholic drinks like sodas, coffee and iced tea. Ready for a night fun, food, and booze? Visit Watami Grill and Sushi Bar at Uptown Mall in BGC. Kampai!